The largest and most ambitious of our reading initiatives, the Summer Reading Challenge, is an annual initiative to engage readers of all ages in reading throughout the summer months impacting 15,000 individuals annually. The program offers activities and incentives that encourage youth to read for fun over break, an in effort to beat the learning loss known as “summer slide”—which can equate to as much as two months of class time, compounding annually. Your support of this program will help us keep pace with the increasing demand and participation. 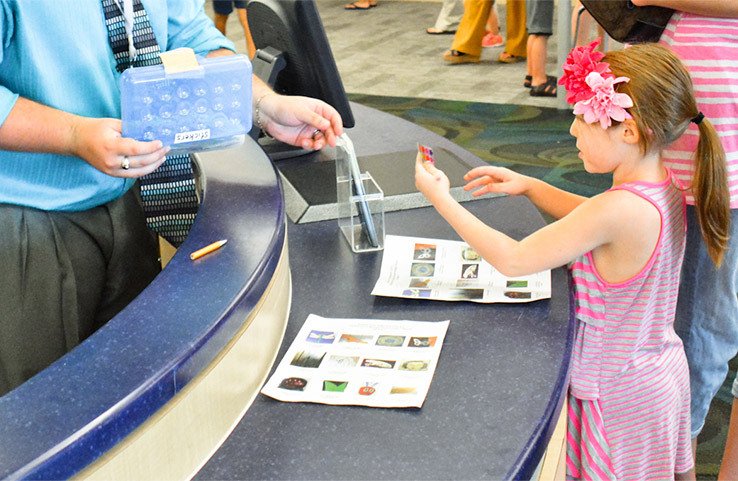 Click here to learn more about Virginia Beach Public Library’s Summer Slide program. Help us serve the community’s youth in innovative ways by bringing state-of-the-art technology and services outside of the library. Your investment will help us purchase Early Literacy Sprinter Vans, and Tinker Tech and Coding Sprinter Van for teens. The library offers a number of wonderful services and programs for the entire community youth through adult. Preschool Storytime classes introduce early literacy skill-building and provide parent education to support language development through books rhymes, songs, and play activities. Our elementary school age STEAM programs are designed to empower children to explore scientific concepts and conduct investigations—enabling kids to become independent thinkers. In 2017, the library offered 441 teen events hosting lock-ins, activities, and establishing a Coding Club for teens. Over 18,000 adults attended programs including career resources, resume assistance, and financial health programs. 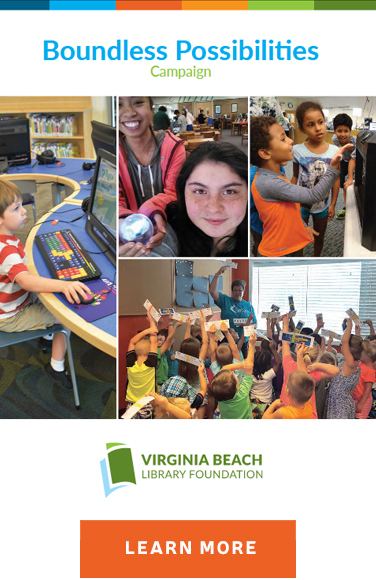 The Virginia Beach Library Foundation is committed to building its endowment fund to serve many generations to come. The Library Foundation encourages both restricted and unrestricted endowments and other major gifts to meet long-term and future needs. If you are interested in learning more about how to support endowment-related projects, please contact Kelly Weber Stefonowich, Development Specialist, at 757-385-8128. The story of our library is still being written ­and you have the chance to be one of its authors.